call 713.222.2002 today for date availability, pricing, and a personal tour! 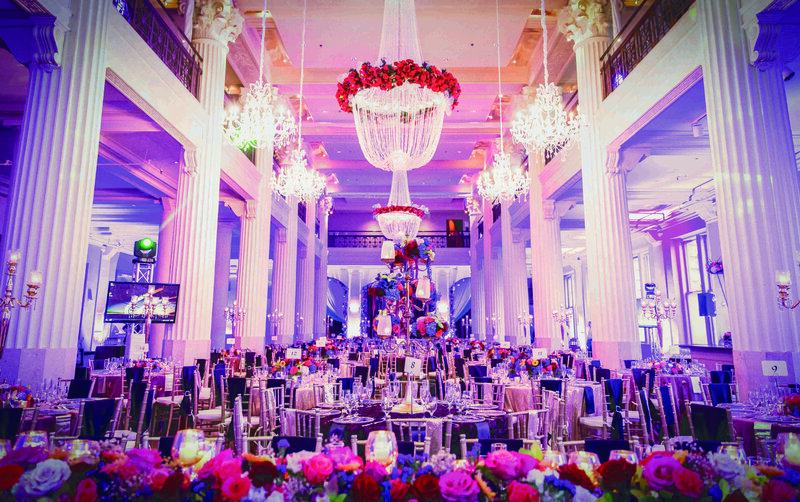 "The classic space for celebrations & events"
As one of the most sought-after wedding venues in Houston, this one-of-a-kind setting for romantic celebrations, includes luxurious bridal suites and an upper Mezzanine overlooking the exquisite Grand Hall. All our events are distinguished by the striking setting, world class service and attention to details. Hosting just one event a day means the Corinthian is yours for the day! Every detail is tailored to your vision for the perfect wedding. Clients can choose from A-list vendors, caterers, audio visual experts and design professionals to ensure a flawless wedding day. 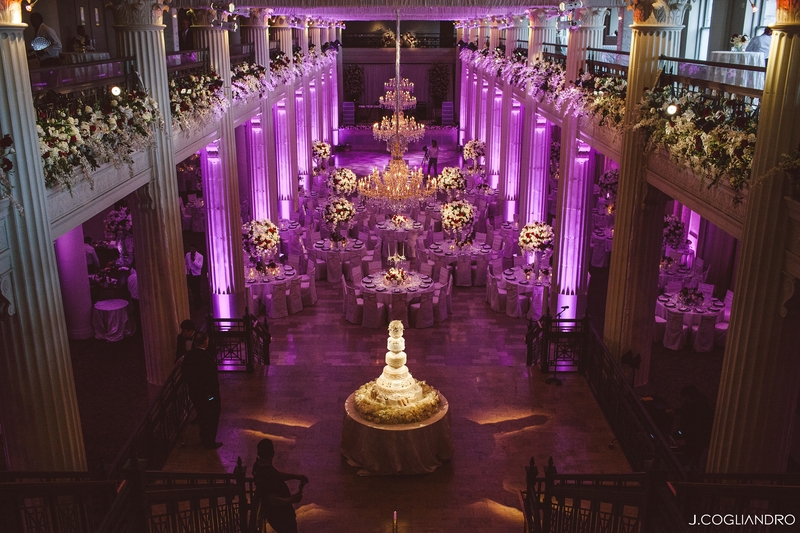 "The Corinthian is a beautiful venue perfect for a wedding or holiday party. I attended an event last night and everything look stunning, the tables and floral decorations were beautiful. The staff were very attentive and made sure that we had drinks and food at all times." "Simply breathtaking. Highly recommend. My nephew married here last night and it was beautiful." 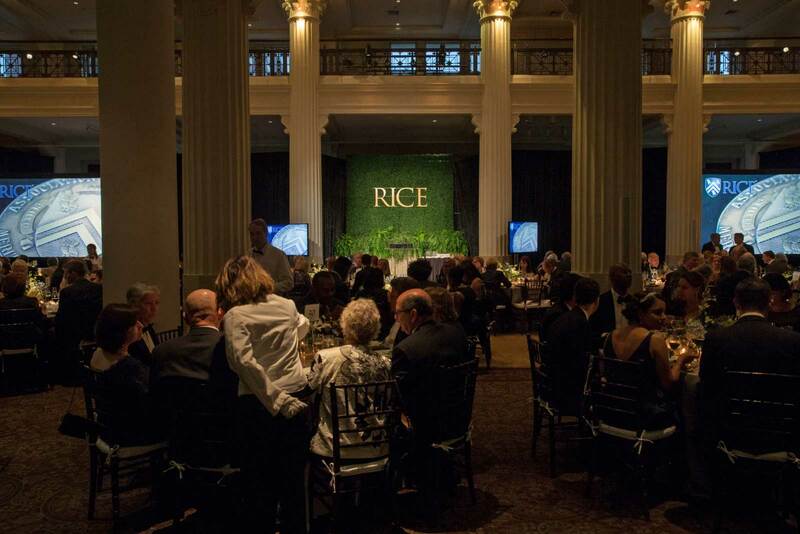 Corinthian Houston is proud to support the leading arts and civic institutions of our great city. Contact us today for 501(c)-3 non-profit incentive pricing for your annual gala, luncheon, board retreat or fundraiser. We offer a convenient central destination for your organization’s leaders and the community members you serve. Contact us today to learn more about non-profit incentive pricing as well as a host of services we offer. "Very elegant. The best cuisine and the finest of wines. Wait staff goes over and beyond. Attention to every area of the venue." "Amazing venue, friendly staff, if you're going to have a large event this is the place to do it!" Inspiration spurs innovation! Whether you’re planning an industry mixer, awards banquet or just looking for a truly distinctive location for your company’s holiday party - Corinthian Houston is the ideal fit. Located in the hub of downtown, we work closely with Fortune 500 leaders and will exceed your team’s expectations making corporate entertaining fun and motivational. We are excited to work with you and look forward to hearing more about your company and how we can be of service. "This is truly a Beautiful place! Attended an event and everything looked so beautiful and there was helpful staff everywhere. The management made sure to be present and available at all times!" "I loved the way everything was setup, pretty view from upstairs." 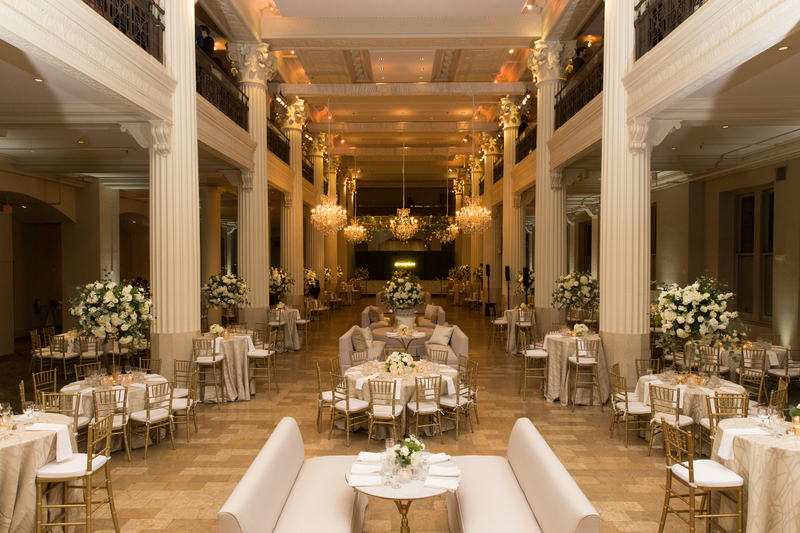 Historic and visually stunning with its neoclassical columns and white marble floors, the Corinthian Houston is recognized for its architectural significance and is the perfect setting for romantic and grand wedding celebrations, society galas and major milestone events. Completed in 1909, the Corinthian Houston is a majestic neo-classical treasure in the heart of downtown Houston’s vibrant entertainment district. 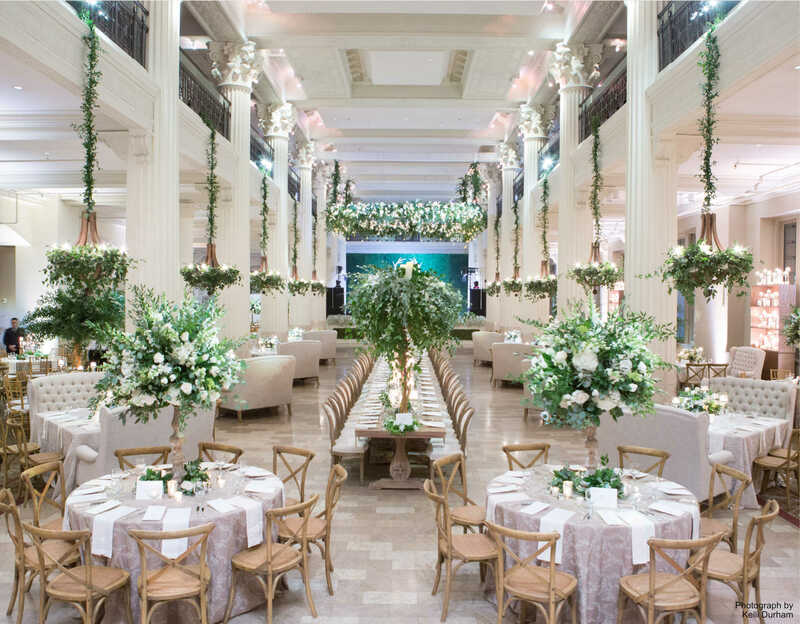 Recognized as one of the city’s true architectural landmarks, Corinthian Houston is authentically metropolitan and a chic and luxurious event setting. Home to the First National Bank for more than half a century, Corinthian Houston is rooted in cosmopolitan glamour, evoking an era of refinement and revelry. An award-winning restoration by developer Frank Garvey meticulously added modern venue amenities, emphasizing versatility of space and light throughout. 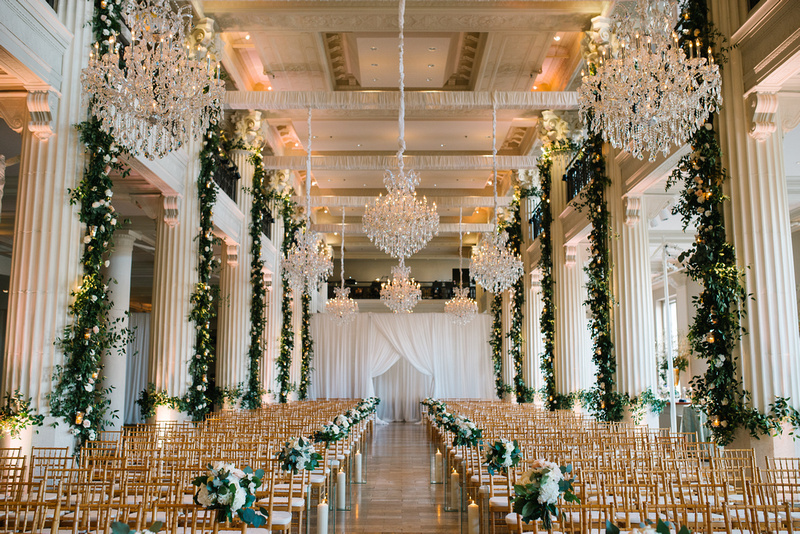 The Grand Hall and surrounding Mezzanine level offer exquisite vistas; replete with a colonnade of 24 soaring Corinthian pillars, intricate marble floors and a stunning suspended bi-cameral staircase. We would love to design the perfect celebration for you. Contact us today! The Corinthian is located in the heart of Downtown Houston’s vibrant entertainment district. "What a gorgeous venue!! The event I went to was held at this beautiful ballroom and everyone gushed at the beautiful decor. I would love to have an event there anyday!" "The place, the service, the details... perfect combination for a great time!"